- Ask and respond to questions about pets in your family (C1, C3). - How to look after the pets. - Talking about your pets. - C1: Competence in linguistic communication. - C3: Competence in knowledge of and interaction with the physical world. - C7: Learning to learn. - C8: Autonomy and personal initiative. o Bird, fish, hamster, dog, cat, rabbit, turtle. 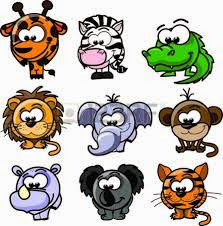 o Crocodile, elephant, frog, giraffe, monkey, mouse, parrot and snake. o How animals move: Climb, fly, jump, run, swim, walk. - What pets eat: fish, fruit, insects, leaves, meat, seeds. o Have you got a pet? o What kind of pet do you have? o Is your pet big or small? o Has she/he got a (dog)? o Yes, he/she has. No, he/she hasn't. o What do (cats) eat? o Can you describe your pet? o Do you like animals? o What is your favorite pet? o Comparative adjectives: bigger, smaller, faster, older. o Open your book at page… / Which page, please? o Can you help me, please? / No, sorry. I can't. / Yes, of course I can. o Do you want to…? Yes, I do. No, I don't. o Stand up. Sit down. Put your hands up/down. - Discourse type: narration (stories related to pets) and description of student's pets. - Language skills: Reading, listening, speaking and writing. - Pleasure in reading a story about animals. - Interest in learning about how animals move. - Awareness of how to look after pets. - Awareness of what different pets eat. - Through listening to words, sentences, stories, songs and short dialogues and texts, children learn to discriminate sounds, rhythm and intonation. They also develop the ability to understand texts globally and to identify and extract relevant information. - Through games and dialogues, children learn to use language and vocabulary and to speak with good pronunciation. - Trough role playing, they learn to express their feelings and opinions, using both linguistic and non-linguistic means of communication. - Through reading, children learn to associate oral language with written language. - Through the multi-sensory activities and games, children will explore their physical world. - Through the CLIL activities, children develop this competence in an interesting and dynamic way. - Through the integration of digital and multi-media resources, children develop familiarity with computer technology. - Through the emphasis on developing effective, children establish good learning habits. - Autonomy and personal initiative are encouraged in personalized activities in which children are encouraged to express their opinions. - Every unit starts with a song related to the content we are going to study. In this unit, it is about animals. - All activities have clear and simple instructions for children to follow. - Listen, look and repeat. Children name any pets they already know. - New vocabulary is introduced using attractive photographs and flashcards. - Read the sentences. The children point to the animals in the picture of the pet shop. - Listen to a story related to animals. - Answer questions about the story. - Ask the children to think about the story. - Tick the animals in the story. - Sing a song related to animals. - Listen and say the missing words. - Do the opening routine. - Make a cut out about animals. - Look and write the names of the animals. - Use flashcards to review the vocabulary. - Listen, point and say the name of the animal. - Talk about pets you know. - Write the animal and the food. Can listen and repeat words. Can listen and identify images. Can listen to a story and follow the sequence of events. Can sing a song with appropriate rhythm, pronunciation and intonation. Understands and is able to communicate in English. Can read and identify written words. Can read simple text related to animals. Can write the name of the different animals. Is aware of the physical space where animals live and operate. Uses skills to meet his/her learning objectives. Stays motivated in order to complete tasks. Esta unidad está elaborada para trabajar Science en 3º de Educación Primaria. The content objectives will be classified attending to levels of thinking from the easiest ones to complex. - Identify different types of transport and their characteristics. - Classify the transports and their incidences on the environment. - Decide the most suitable mean of transport for each situation. - Evaluate their own learning process through different tools. Ways of transport: bus, plane, car, train, ship, taxi, bicycle, tram, walk and so on. Characteristics: quick, fast, slow, pollution, diesel, gas, friendly, private, public and so on. Verbs: to ride, to reserve, to walk, to fly, to drive, to sail, to cycle, to sit, to wait and so on. Links: firstly, secondly, at the beginning, in the middle, at the end and do on. Which is the_______ main of transports? What main of transport is (more)_____ than_______? The ______is _____than the _______. The______ is more_____ the than _____. How do you go to____? To get to the_____you have to______. I go to ______ on/by ________. Dialogues, narrative and descriptive types. Receptive and productive ones. Listening, Reading, writing and speaking. Advantages of knowing different places using the most suitable way of transport. It will be used different types of grouping depending on the tasks, big groups activities, small group activities and individual ones. It will be developed in five sessions of 45 minutes each one. Depending on the student's learning style, we will use some materials like: computer, worksheets, White digital board, markers and so on. Linguistic competence, mathematical competence, processing and use of ICT competence, social skills and citizens competence and autonomy and personal initiative. - Talk about the ways of transport they usually use. - Present a topic in front of their classmates. 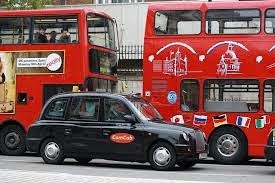 - Decide what type of transport is the best one for each situation. Cada sesión tiene una duración de 45 minutos. Para presentar el vocabulario de la unidad utilizo una serie flashcards que ayuden a los niños a la comprensión del tema a tratar. Durante esta sesión realizaremos actividades de este tipo con esas flashcards. - Choose 3 different flashcards and ask your students to create a story. - Show a set of flashcards and ask them to write the ones they remember. - Show them a flashcard and ask them to brainstorm ideas. Then tell them to compare ideas and ask them to create stories in pairs using the words they've come up with. - Tratamos un texto y formamos un debate sobre lo que hemos leído haciendo preguntas y comparaciones sobre los diferentes medios de transporte y su impacto en nuestro medioambiente. - Realizar el proyecto. Crear un póster con las características de los medios de transporte usando el punto gramatical propuesto, en este caso el comparativo. - Presentación de los proyectos. UNIT 10: POLYHEDRA AND SOLIDS OF REVOLUTION. SURFACE AREA AND VOLUME. Docencia transilvana | Aventuras, andanzas y entuertos de una profesora de lengua y literatura española en Rumanía. from nuria to clil | A way to get closed to clil methodology. Despedida como profesor del liceo XXII "José Martí"
Look what we are doing! Toni's site | The greatest WordPress.com site in all the land! Semana del Plurilingüismo. Nov-Dic 2016. CEPs de Almería.